Welcome to the Financial Education Center! The first step in achieving the financial results you want involves uncovering the path ahead. With this program you will discover new ways to make your financial dreams a reality. Together, there's no stopping you. Taking control of your hard-earned money from a security and budgeting standpoint has never been more important. We regularly hear from clients like you about fraud. Last year, our security department recovered more than $1.5 million in fraudulent charges for clients. 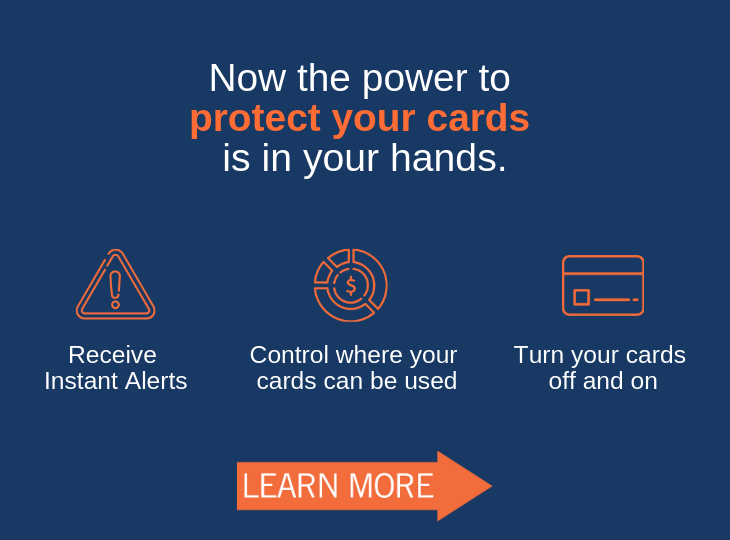 Download SecurLOCK Equip on your smartphone to take your debit card protection to the next level.